As the weather changes and temperatures begin to increase, the great outdoors is somewhere that many of us will begin to spend more time. Over the last few months of being cooped up indoors, with the central heating turned on and curtains drawn, the arrival of spring is a welcomed change. The idea of basking in the sun relaxing on a lounger, with nothing but the smell of freshly cut grass and warm rays to keep you company is simply tantalising. The garden is a space that may need your attention after the wrath of winter leaves everything a little worse for wear. 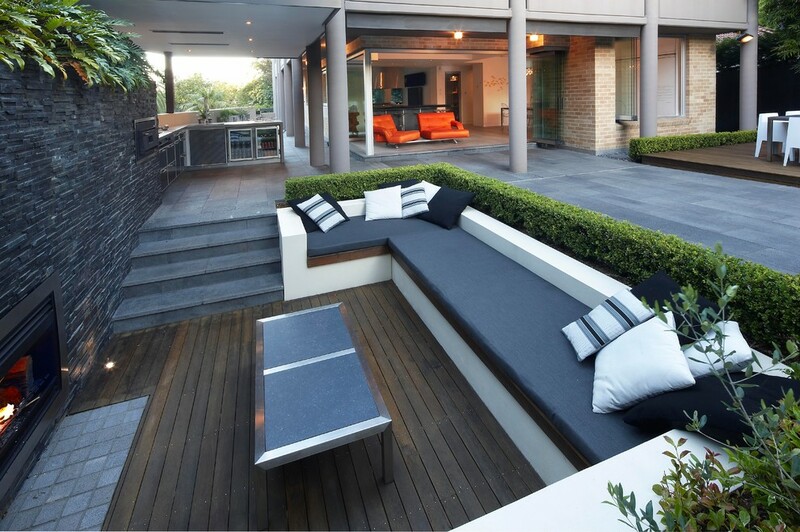 The following list looks at the top 10 luxury outdoor trends expected to make a stand in 2014, with new creative ideas alongside classic ideas reinvented. Use the list as inspiration for your home this year - After a little TLC, you'll be eyeing up that garden party in no time at all! Of course, being specialists in luxury bathroom installations our list is arguably a little biased but inspirational nonetheless. To get our list started, we've decided to take a look at a trend that's a questionable investment for the unpredictable weather of the United Kingdom. Nevertheless, a covered heated outdoor showering space is more than plausible regardless of your location, offering a unique showering experience for any user. 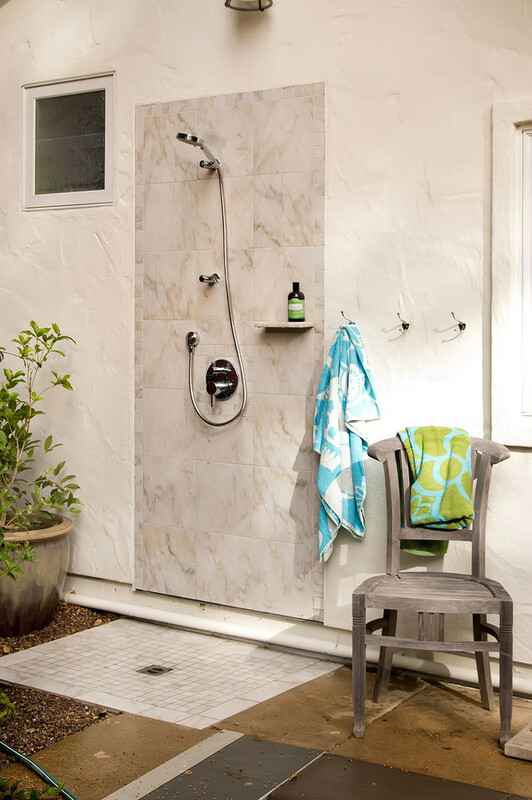 The invigorating sensation of showering outdoors surrounded by nothing but nature and fresh air is one liberating experience everyone should try. 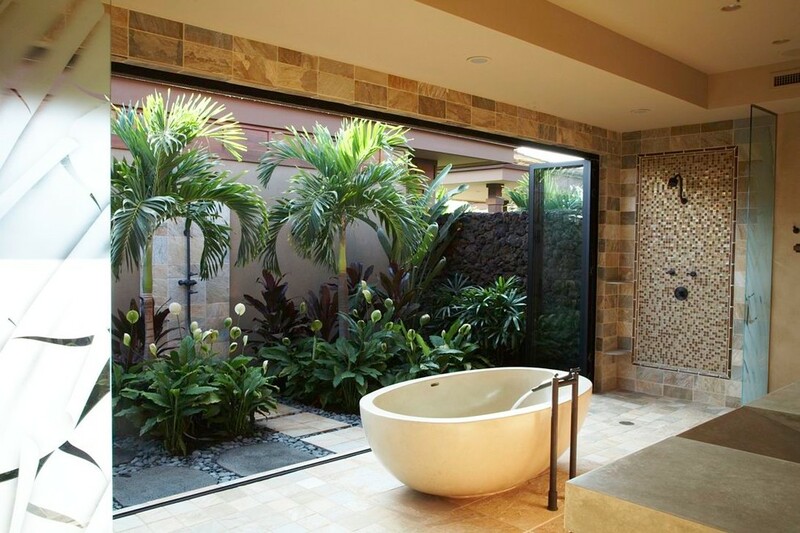 The following example by Bill Fry Construction demonstrates how an outside wall can be transformed into an open showering area, with little to no maintenance required. Some may prefer a little more privacy, but this is easily achieved with wooden trellising or well-placed greenery. 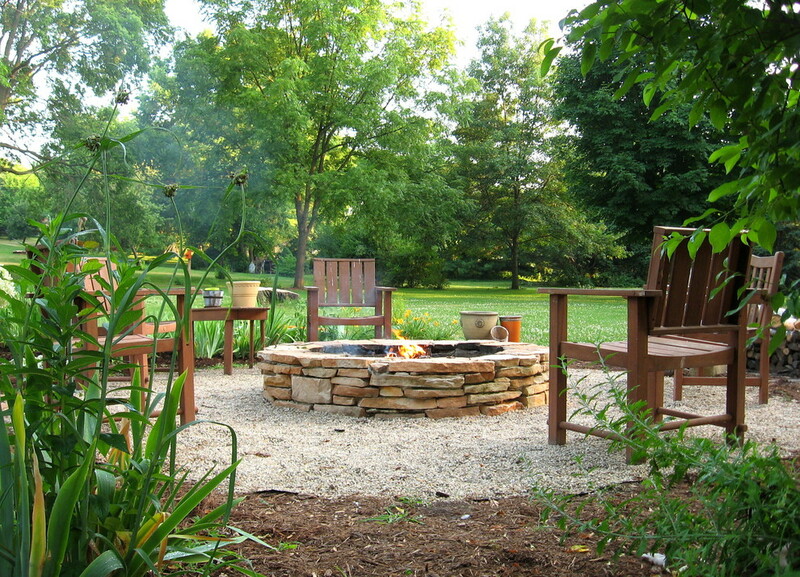 Creating a truly peaceful air of tranquillity can be easily achieved when using an outdoor space, as it immediately limits the number of distractions and limitations often imposed when working indoors. Your Zen haven doesn't even need to be “outdoors” with the number of creative window and door options available within the market, demonstrated perfect by this example shown below from Willman interiors. The use of a wall sized bi-folding door helps to bring the outdoors in, opening automatically at the touch of a button. The outdoor space is filled with Zen inspired greenery, including large green ferns and tall plant life. A must for any entertaining extraordinaire, the hot tub epitomises sheer opulence in any luxury home, with the marketplace now filled with almost unlimited options to suit all needs. Help to make your hot tub extra special by choosing the installation location carefully. If one side of the garden is quieter than the other, benefit from the calmer side for a more peaceful experience. 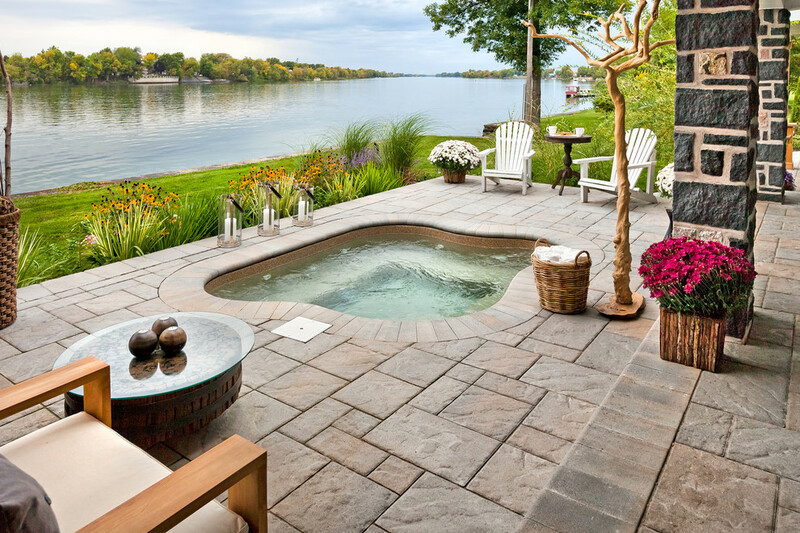 If you're lucky enough to have a breath-taking view, be sure to place your hot tub in a prime viewing location demonstrated perfectly by this set up by Techo-Bloc. There are approximately 2 million saunas in Finland which has a population of about 5 million people. That is approximately one sauna for every 2.5 people, which is quite phenomenal really, and this type of stat has to speak volumes about the sauna and the benefits it can provide. The UK market has seen a gradual uptrend in the sales of saunas, both conventional and electronic, with people understanding the incomparable health benefits a sauna can offer. 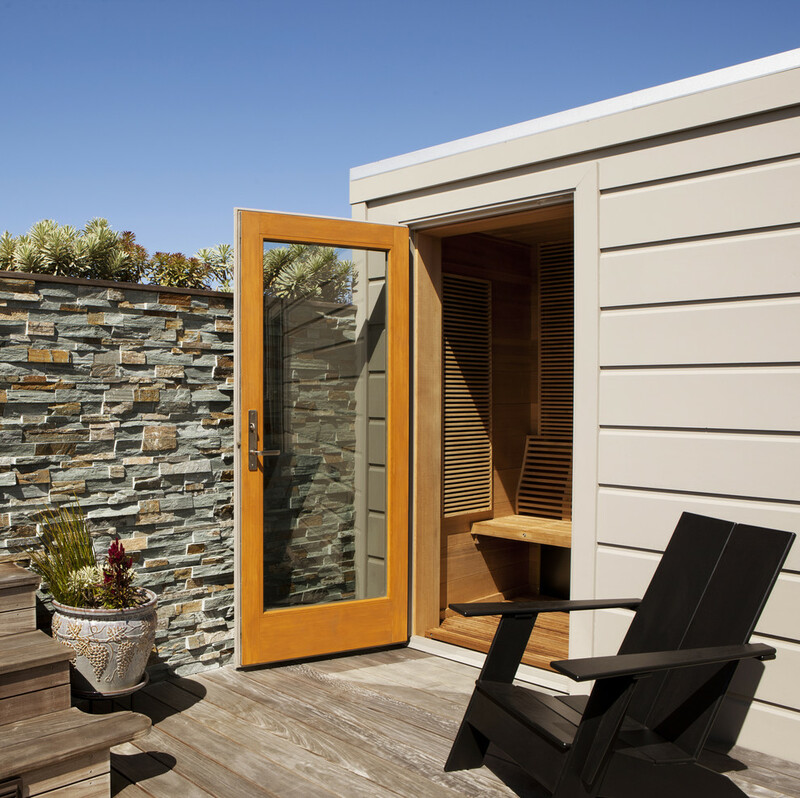 Indoor space can be limited for many, which is why outdoor saunas offer the perfect solution. Some suppliers offer entire sauna cabins complete with roofing, which are perfectly suited to the outdoors without the need for additional cover. Alternatively, you can look to build an entirely separate space dedicated to providing you with an outdoor spa escape, as shown in this roof terrace by Gast Architects. Following the idea of an outdoor sauna space, the log cabin has established itself as an ideal solution to obtaining more indoor space outdoors. Many companies now offer complete panel fabrication services allowing you to pick a design of a certain size, filled with fixtures and fittings to suit your needs. 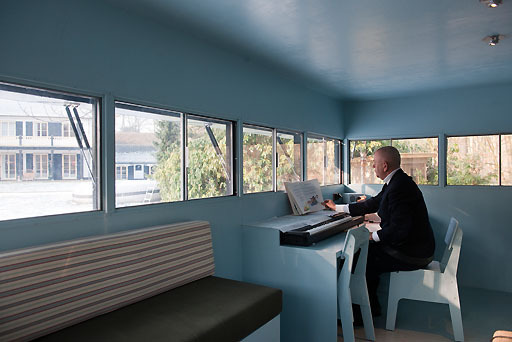 Once manufactured, the cabin is delivered to your home in a flat panel format much like furniture from Swedish experts IKEA, ready to be erected in your ideal location. 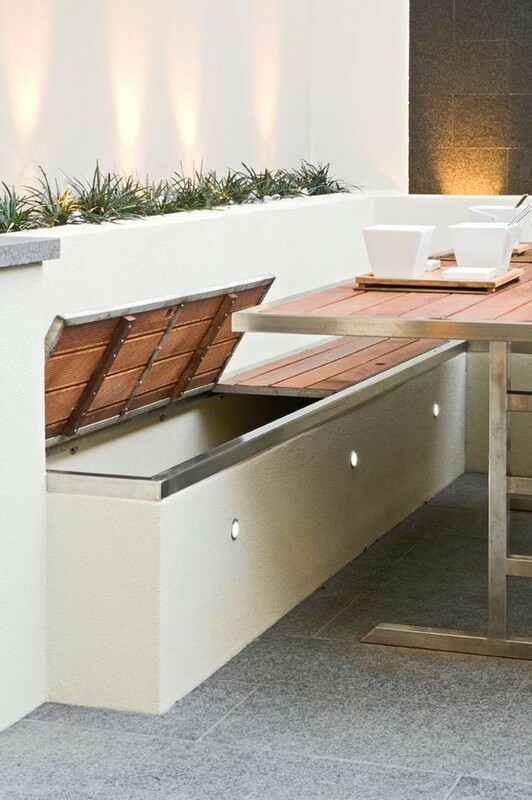 This outdoor space can then be utilised for anything your heart desires, from a home office to a sun room. 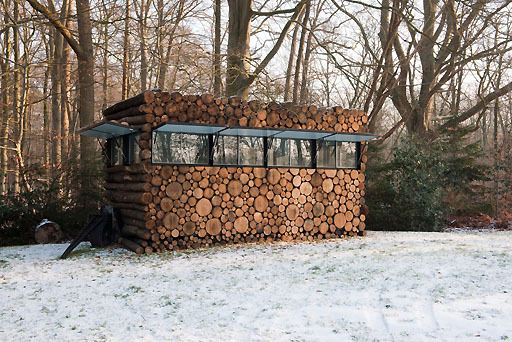 This example by Thomas Mayer demonstrated how he has successfully created such a cabin. Following on from our fire pit idea, a well-designed seating area can give you and your guests a good enough excuse to star gaze after an evening's entertainment. Garden furniture has always been a strong seller in the UK, from wooden patio sets to extendable sun loungers. Having a welcoming space for your furniture to be located is just as important as the comfort of the furniture itself, so plan your space well. Consider using feature lighting to help keep the area well lit, combined with a mixture of greenery that matches the character of your space. Low maintenance is the easy option if you're not naturally a garden person. This particular example from Dean Herald Rolling Stone Landscaping demonstrates the use of an outdoor fire pit with a large lounge area - guaranteed relaxation. Combine your outdoor seating area with a complete cooking and dining area for the ultimate outdoor dining experience. This year promises to see a rise in outdoor cooking spaces that are more than just a charcoal BBQ, providing you with limitless options on what you cook, regardless of weather. A cooking area with appliances hooked into mains supplies provides you with a fully-fledged kitchen in the great outdoors - What could be better? 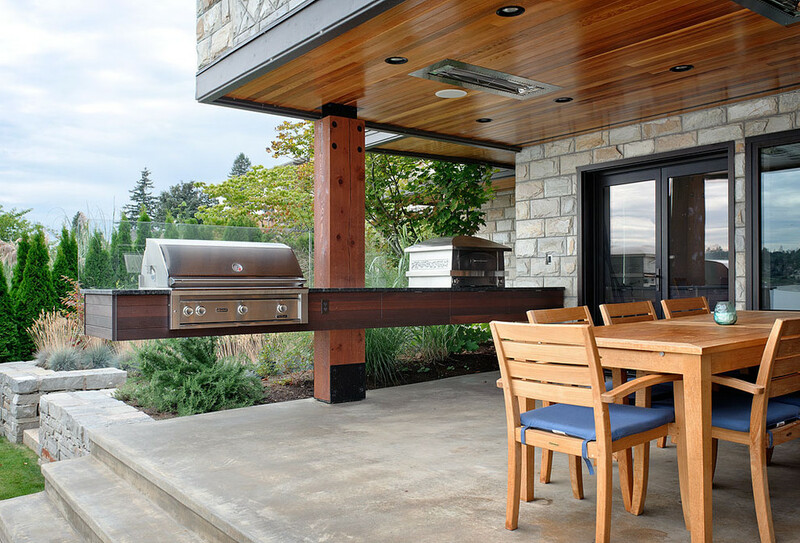 This particular example from Dyna demonstrates the epitome of luxury BBQ outdoor dining, with a floating kitchen counter and fully fledged BBQ smoker.